See this UPDATED LETTER from Morro Bay which we received 3/13/15. The attachments she mentions should be found at the link below titled "Revised Filing Form for amnesty business"
The Broker must obtain a business license and PAY THE $137 tax. For each employee (W2 employee), the Broker OWES AN ADDITIONAL $23 tax. Each salesman or agent (non-W2 ) associated with a Broker must OBTAIN A LICENSE. The tax for that license is $32. * This is consistent with every other business in Morro Bay in which the business must have a license and pay an supplemental tax based on number of employees. ** Future business licenses will be issued to agents by name. *** A business license issued to an agent associated with one broker remains valid, even if that agent switches brokers, until the agent's annual license expires. 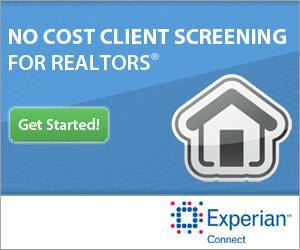 **** A Broker may choose to pay the license due for each of that broker's agents. For California Licensed Real Estate Brokers and/or Agents NOT BASED in Morro Bay. A Morro Bay business license is required if you conduct a transaction in Morro Bay. Seller's Agent: A business license is required when a Morro Bay property is listed. The Broker must obtain a business license and PAY THE $137 annual tax. The listing agent / successful BUYER'S AGENT associated with the transaction MUST OBTAIN A $32& license. Since the Brokerage is out of town, there are no per-employee (W2 employee), taxes. This process can be executed in one step over the counter in Morro Bay, or by mail. If the transacting agent has another transaction in Morro Bay that year, THEN NO ADDITIONAL license/tax is required. If another agent from that broker has a transaction in Morro Bay while the broker's Morro Bay Business License is valid, then the AGENT MUST OBTAIN A $32 license but the broker does not need another license. In all cases, Brokers, as the "business owner MUST PAY THE $137 license tax and agents PAY ONLY THE $32 license tax. Morro Bay treats all Brokers and agents equitably - whether in or out of Morro Bay and treats all Brokers, both in and out of Morro Bay the same was we treat any business in or out of Morro Bay. A few short notes to address a few of the arguments we've heard recently. Actually, this has been in Morro Bay Municipal Code for years. We recently started a 3-year audit, looking back four years, and want to give everyone fair warning the amnesty from our 100% annual penalties expires in three weeks. "Morro Bay is the only city that does this." Actually, nearly every city we've looked at has a similar provision in its code. Other cities may not be enforcing their code. Paso Robles for example: "Every individual person carrying on the profession or vocation herein enumerated shall pay an annual license tax of eighty dollars per year: real estate salesman (on commission). "This is unfair to out-of-town real estate industry professionals." Actually, this is fair for all industries as it treats the out-of-town real estate industry exactly as we treat every other out-o-town business. If you do business in Morro Bay, then regardless of where you are based, you must have a Morro Bay business license. Just like the out-of-town general contractor who built the house in Morro Bay must have a MB business license, and the out-of-town plumber who does the plumbing work in the house must have a Morro Bay business license, and the out-of-town lumber supplier who delivered the lumber for the house must have a Morro Bay business license, the out-of-town real estate broker/agent who lists the house must have a Morro Bay business license. "I have a San Luis business license - this is double taxation." Actually, not. Having a San Luis business license allows you to operate in San Luis, not in Pismo Beach or Morro Bay. "Requiring both the buyer's agents and seller's agents to have a license is double taxing a single transaction." "My San Luis business license is based on gross proceeds, including proceeds made in Morro Bay." "No out-of-town broker will ever work in Morro Bay again." A Morro Bay resident asks an out-of-town broker to list their $800,000 home for sale and the out-of-town broker is going to say no because of a $137 business license? Unlikely. Precisely because this audit has identified many, many businesses that did not have a Morro Bay business license, the Morro Bay City Council passed a limited-time amnesty from penalties, waiving all penalties (going back to 2010) for businesses that "get healthy" by March 13. We encourage all businesses to take advantage of the amnesty. The point of contact at Morro Bay City Hall is Jamie Boucher. Jamie may be contacted at 772-6294 [email protected] or visit City Hall at 595 Harbor Street, Morro Bay. Individual members MAY OWE tax penalty!! Be sure to read below!! An Important Message for Real Estate Professionals Who have Conducted any Business in Morro Bay in the Past Four Years. The purpose of this message is to provide critical information about the ongoing Morro Bay business license audit to the community of Real Estate professionals in SLO County and beyond. Bottomline: The existing Morro Bay Municipal Code requires any real estate broker or agent who "sells or offers for sale, or buys" real estate in the incorporated area of Morro Bay to have a current license at the time of the transaction. Morro Bay is in the early stages of a three-year compliance audit of business licenses. Last October the City Council enacted two ordinances to mitigate the initial effect of the audit. One mitigation approved a limited-time suspension of the 100% penalty Morro Bay charges for failure to pay the business license tax. After the amnesty period ends on March 13, 2015, businesses will be liable for all back taxes, plus those penalties. The City of Morro Bay has been conducting extensive outreach to advertise the amnesty from penalties and just identified that many members of the wider SLO county community of real estate professionals may not have had a valid Morro Bay real estate license when conducting real estate transactions in Morro Bay over the past four years. The current amnesty allows forgiveness of what could be around $500 in penalties for anyone who conducted business without paying the business license tax in all of the past four years. When it comes to Real Estate professionals requiring a business license, Morro Bay's code is consistent with most / all of the other municipalities in the County. The Code requires any broker or agent, whether their office is in Morro Bay, SLO, Pismo or Fresno – who sells or offers for sale, or buys, any real estate in Morro Bay to have a current year business license at the time of the offer or transaction. The code requires the same for rental property management. The Code does not require a license for a buyers agent to show a Morro Bay home that they have not listed for sale or place an offer from a buyer, but requires a license for almost every other real estate action. A Morro Bay based Realtor must have a Morro Bay business license to operate in Morro Bay - regardless of how many properties the agent buys, sells or manages. at the time of listing or selling a home. at the time of purchasing a home. Example 1: An out of town agent/broker who acted as a seller's agent listed a home in Morro Bay in 2012 and 2014, but did not sell or offer to in 2013, required a Morro Bay business license in 2012 and 2014 but not for 2013. Example 2: An out of town agent / broker who acted as a buyers agent and showed a home in 2013, but no offer was made, and then showed in 2014 and placed an offer and the sale was completed, required a business license in 2014. We strongly urge any Real Estate professional who believes they have conducted business in Morro Bay in the past four years without a business license to take advantage of the limited-time amnesty. The amnesty applies to penalties, which are 100% for all back years. All entities remain fully responsible for 100% of back taxes. The Morro Bay business license tax has ranged from $123 to $138 in the past four years. So, a broker or agent who, without a Morro Bay business license, sold or offered for sale, or bought, property in Morro Bay in each of the past 4 four years would owe around $520 in back taxes and a further $520 in penalties. The current amnesty forgives the $520 in penalties. The current amnesty ends on 13 March, 2015, after which payment for the full penalty for each year will be required. We anticipate our auditor will conduct a full audit of real estate transactions over the past four years to identify brokers/agents who conducted real estate business in Morro Bay without a City business license. Therefore, we encourage you to pay back taxes owed by 13 Mar when the amnesty ends. Visit Morro Bay to complete an amnesty request and pay back taxes. You may do this at the Public Works (Public Services) Service desk at 955 Street, Morro Bay, CA between 8am and 5 pm any business day. Application forms for amnesty and low revenue business are at the link above, our Public Works office and City Hall. Please help us get this important and money-saving info out to the community of real estate professionals in SLO County and beyond.